2008 re-mastered and expanded using the original master tapes. recorded, re-mastered and expanded using the original master tapes. 1-5 "The Heavenly Music Corporation"
Originally released in November 1973. 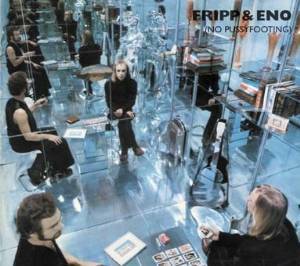 24 bit remaster by Simon Heyworth and Robert Fripp. From David Snyder of Austin, Texas on 8/7/2009 . From Anonymous of LYNBROOK, New York on 6/30/2009 . From Frank Whetstine of Arlington,, Texas on 1/22/2009 . From SonicDeath10 of Alpena/Marquette/Garden City, Michigan on 1/18/2009 . From Michael Abrams of San Francisco, California on 1/7/2009 .